More Than 75 Years Later, F. Scott Fitzgerald Story Sees The Light Of Day The story, called "Temperature," had never been published and was presumed lost. Long after magazine editor Andrew Gulli began his search for the story, he finally found it — and put it in print. 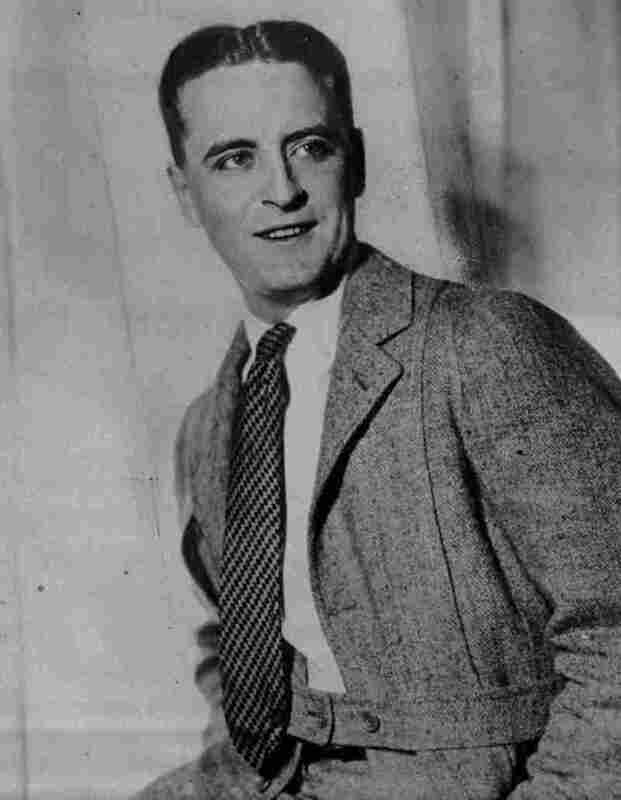 F. Scott Fitzgerald's story "Temperature" — which was found as an unpublished manuscript — appears in the new issue of The Strand Magazine. Andrew Gulli has an unusual passion: finding unpublished short stories by famous American authors. He searches through libraries and archives, finds works, researches to confirm they've never been published — then publishes them in the literary magazine he edits, The Strand. Last fall, after he'd just found an unpublished story by John Steinbeck, Gulli told NPR's Arun Rath that he'd actually been looking for one by F. Scott Fitzgerald. Now, he's tracked it down — and he joined Rath again to talk about the find. The story is called "Temperature," and Gulli says it has a little something for everyone. "There's some madcap comedy, some [P.G.] Wodehousian dialogue, some romance, even a little bit of some tragedy in it," he tells Rath. "I just was struck by how funny, how interesting it was. And I said to myself, 'I really have to have this story.' "
And with some help from the Fitzgerald estate and the author's literary agency, he got it: The story appears in the current issue of The Strand. It was a tough hunt, because there were a lot of things that I had asked for, and there was an interesting fragment of [another] story. I was saying to myself, "Oh my God, I am so excited about this" — and it turned out that [Fitzgerald] had not finished it. For obvious reasons, you can't come back and say, "Please, will you just complete this story for me?" But this one was finished. It took some research, but I looked through some archives, through some bibliographies by Fitzgerald scholars, and that indeed confirmed that it was never published before. The thing is, I can tell you definitely that it was a final version, because I'm the person who had to go through all these longhand, sloppily written manuscripts by F. Scott Fitzgerald, with a million corrections. And you sort of see the mind of the writer, how he would just scratch out whole pages and make notes in margins. But this manuscript was very well-written, the typescript is very clean. There are maybe a couple of spelling errors that were very minor. So, this looked like it was ready for prime time. The manuscript is dated July 7, 1939. And Fitzgerald had sent a letter to his agent a week later, in which he asked to stop being represented by Harold Ober because Ober was tired of advancing Fitzgerald loans in lieu of work that had not been delivered to him. So that might have been one of the reasons why he'd not found a home for it. Well, I have something by a very, very famous writer of detective stories. And, as you can imagine, not all representatives of authors are as wonderful as the F. Scott Fitzgerald estate. So it's going to take some pressure to try to have this short story appear in The Strand Magazine. But I never quit.